With the new CCalendar-Booking Module. In all areas, where you want to give clients (= external guests / customers / etc., without CCalendar account) the chance to book defined resources from you. 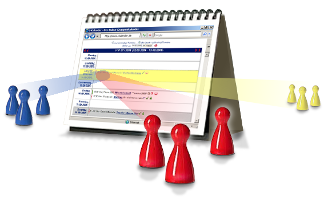 at the same time offer resources over the internet to a wide range of clients, even when they have no CCalendar account! 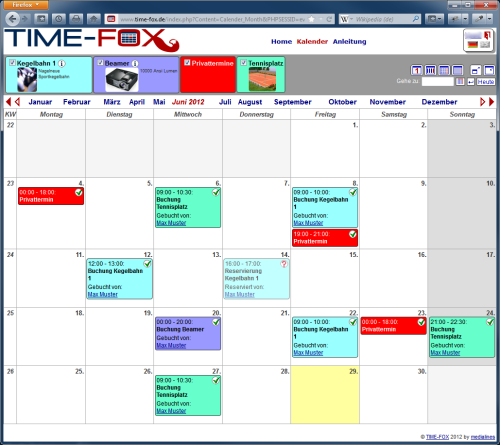 Our online booking system TIME-FOX - the intelligent online booking system from our company! "Compliments for this pretty fast and good designed program – especially without the normally inevitably seeming cumbersome advertisement."